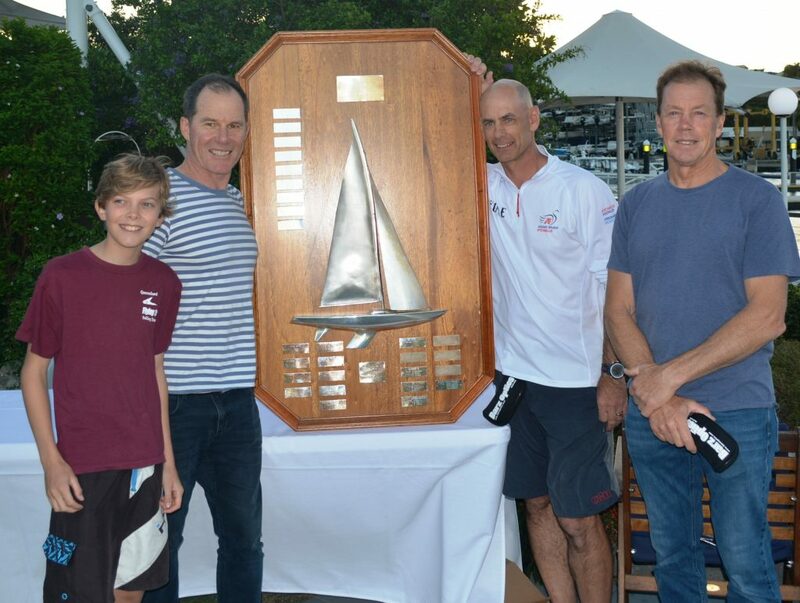 Raymond Smith lead his team, from RPYC/RFBYC, of David Clark, Alan Smith and local (RQYS junior) Mitch Luxton, on “The Cure”, with a 1,1,3, (DNF),1 for a total of 6 points to win the 2019 Etchells Brisbane Fleet Championships at Royal Queensland Yacht Club. Second overall, on count back, was local RQYS team of David Turton, Josh Torpy and Scott Dewer on “Our Thing” with 12 points from another local RQYS team and North Sails stalwart Vaughan Prentice, Darren Hutchison, Chris Anderson and Victoria Pryce on “Log” also on 12 points. The DNF was courtesy of a light wind first race on Sunday and unfavourable tide, that timed 5 of the 15 starters out. The weekend weather varied from rain and 20 – 25knots of wind (Saturday 30th March) to Sunny and not much (Sunday 31st March), Huey showed us everything. PRO Louise Davis was a little disappointed not to get in the full six races but the Fleet agreed she did an amazing job getting in five. Louise is an integral part of RQYS sailing and has officiated at States, Nationals and Worlds and is regarded as a great friend of the Etchells Fleet. There were a couple of new skippers in the Fleet. Claiming fourth overall was first time skipper Todd Anderson on “Tag”. Todd has crewed before with John Warlow, but is better known for his time on Division and offshore boats Corum, Alive, Black Jack and TP52 Envy Scooters. Todd relished the experience saying “Despite the first time on the helm with two good guys Curtis Skinner and Alex Gough it was the first time sailing together as we hit the leads with 22 knots from the North. It was a lot to take in but really pleased with how the boat went. While being hugely technical, I got a lot of good information from the guys but still have a lot to learn.” With a win in Race 3 we think Todd has a great future in Etchells. 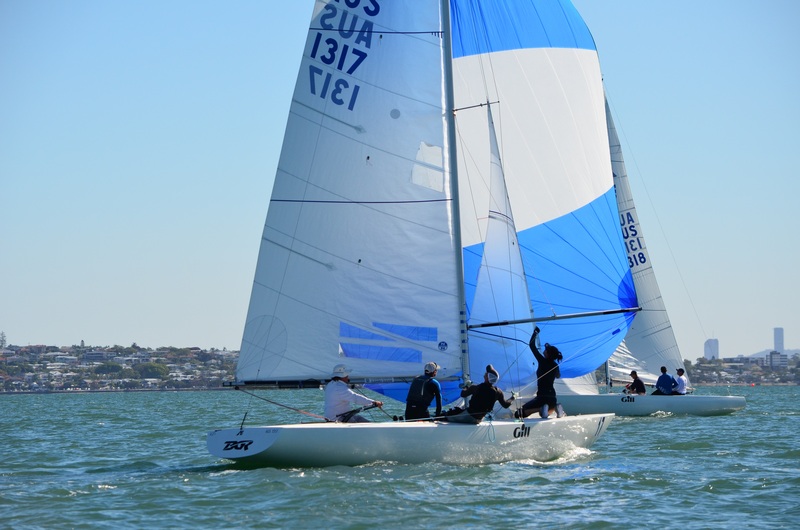 Todd also likes the look and feel of Etchells Brisbane Fleet, despite having a huge year with major regattas, he is looking forward to the future. 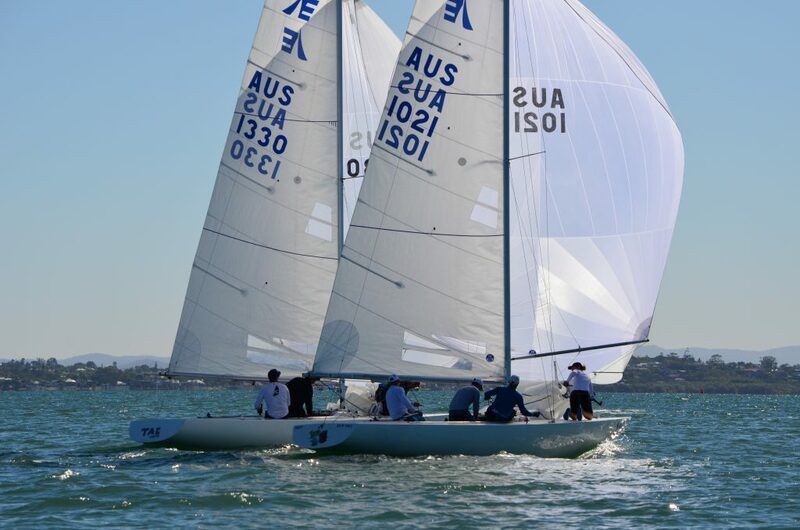 Another skipper new to Etchells, having only sailed the 2019 Nationals at RQ is Drew Carruthers on “Happy Hour”. Better known for sailing offshore in 50′ catamarans and has purchased a DK46, Drew, with crew Becky Moloney, Daniel Moloney and Mark Matthews finished a credible 10th and summed up their weekend “We had a great weekend. We need to spend more time with our heads out of the boat, but have loved the sharing of information with other crews. Everyone is only to keen to assist with our development.” Happy Hour is continuing in the future with Becky Maloney taking the helm. Becky says “I am looking forward to the challenge of helming. Concentrating on my Laser during winter then building a crew for the next Etchells season.” Becky has crewed on Etchells previously and she is a great addition to the Brisbane Fleet. After such a busy series of regattas’ this year, a legacy of the 2018 Etchells Worlds is a Youth Team. Fleet Captain Noel Paterson has worked hard, and with the assistance of Hume Campbell (use of boat) and Boat Captain Greg Kemp, a Youth Team was formed 3 weeks ago, sailing “Rogue”. Skippered by Mitch Miller and crewed with Lachlan Prentice, Sam Costin and Cooper Richmond, they faired very well in their first regatta in 6th place overall. As Mitch said “On the first day we had a bit on with plenty of wind. We are looking to see what opportunities come up with the Youth Team. It is awesome stuff, competitive and we really enjoyed it. ” Mitch was surprised they had improved their overnight place by one spot and admitted they were not concentrating on results, they were just happy to go sailing and getting crew work on point.” Crew, Sam Costin said “we were really happy with our first day, but today was a bit tough.” Sam sailed in the recent Nationals at RQYS and comes from a windsurfing and skiff background, but said “We really appreciate the experience in the Etchells and now that we understand the boats a bit better, we are really looking forward to future Etchells sailing.” The Youth Team are looking forward to some winter sailing and continuing on next season. 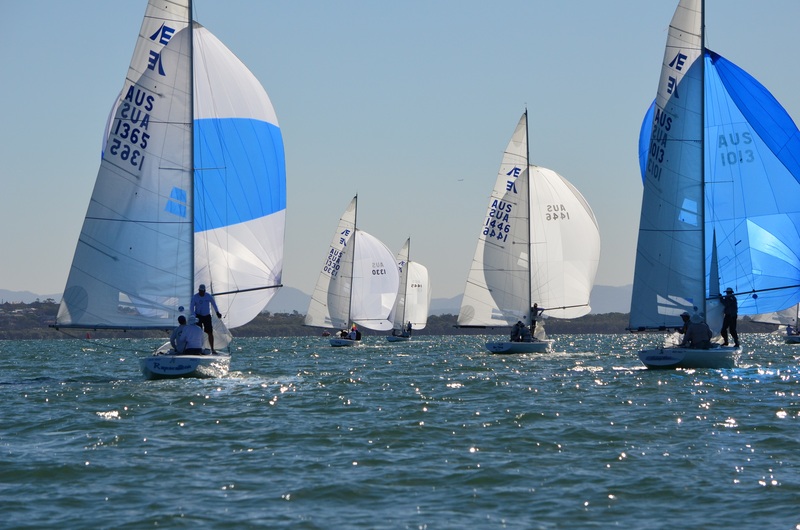 Full results of the 2019 Etchells Brisbane Fleet Championship HERE. 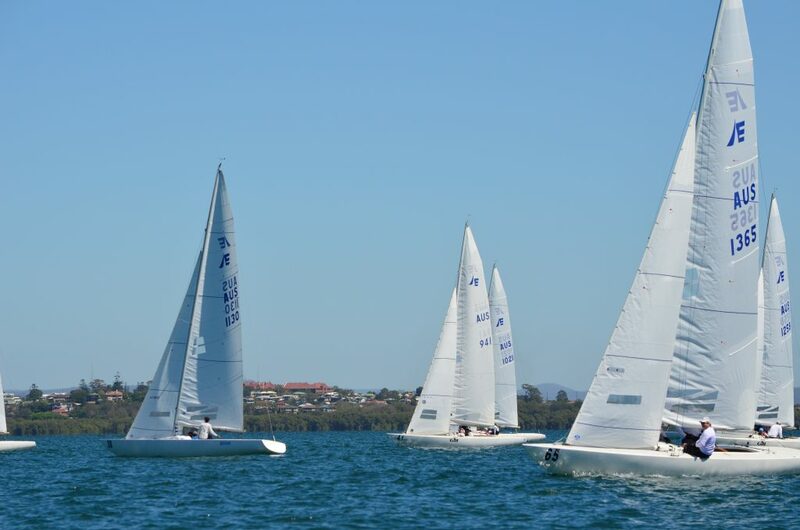 Next event on the Etchells calendar is the Australasian Winter Championships at Mooloolaba; you can enter here HERE. The Cure leading to the finish on a glorious Brisbane day. Winners are grinners. Congratulations Mitch Luxton, David Clark, Raymond Smith, Alan Smith – Team “The Cure”. BGR (Bradley Ginnivan) setting the kite. Despite light conditions, RQYS Etchells Brisbane Youth Team (AUS 1130) have a few Etchells off their transom. Youth Team Mitchell Miller (skipper), Lachlan Prentice, Sam Costin and Cooper Richmond. Close racing between Tag (Todd Anderson) and Log (Vaughan Prentice). A huge thank you to our sponsors.